"Christian Siefkes is a software engineer who lives in Berlin, Germany. His main research interest is the emancipatory potential of free software, open hardware, and other forms of commons-based peer production. 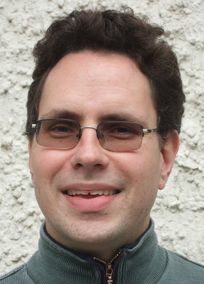 He blogs at www.keimform.de; publications include "From Exchange to Contributions" (Berlin 2007), "The Emergence of Benefit-driven Production" (Proc. OKCon 2011), "The Boom of Commons-Based Peer Production" (in "The Wealth of the Commons", 2012). "Dr. Christian Siefkes is a freelance software engineer and author; he lives in Berlin, Germany. His main research interest is exploring the practices and the potential of commons-based peer production, the participatory and commons-oriented way of production that brings us free software, open content projects such as the Wikipedia, and an increasing number of open hardware projects such as RepRap. Co-founder of the bilingual Keimform-Blog (http://www.keimform.de)." From Exchange to Contributions (2007, http://peerconomy.org/). Email: [email protected]fkes.net, homepage: http://www.siefkes.net. This page was last modified on 8 February 2017, at 17:57.